Important! As with the toolbar icons, you must rename the file to .zip after you download it. WinCustomize doesn't accept zip's for this category, so we'll have to do it this way. Download, rename and extract. 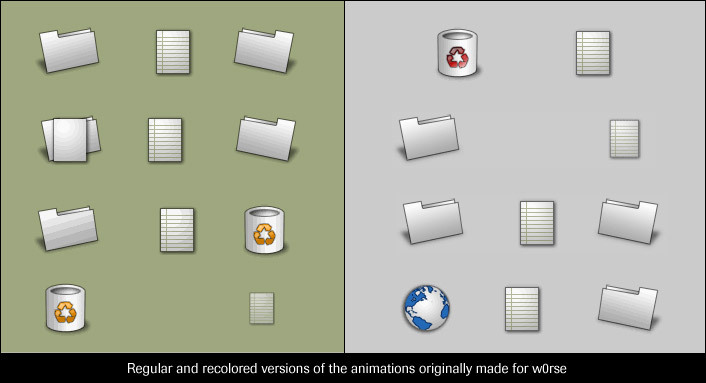 In the zip are two sets of animations. The standard for w0rse plus a recolored version that could work with a larger amount of skins out there. Beautiful looking animations. Very stylish and they should be easy to use on a lot of skins.